Regenerative medicine is offering the exciting potential as an alternative to total joint replacement for treating joint disorders. Stem cells are of particular interest in regenerative medicine, as they inherit several unique characteristics i.e. indefinite cell division potential and differentiate into other types of cells. When stem cells are injected into body, these cells proliferate and differentiate into specific cells for enabling repair process. To have successful regenerative outcome with injected stem cells, it is necessary that stem cells must survive, engraft, proliferate, and differentiate in site specific manner. One of the main factor determining the survival and engraftment of stem cells is their route of delivery. So far, several different approaches have been utilised to deliver stem cells into the injured area of the joint. The intravascular injection including intravenous and intra-arterial of stem cells has been used by many clinicians in joint disorders and some promising results have also been reported. The intravenous administration of MSCs have advantages such as minimally invasive and cell distribution throughout the body. Despite the advantages of an IV injection to joint conditions, many shortcomings are also being reported, such as entrapment of cells after passing through the lungs called pulmonary first pass effect and formation of vascular microemboli. With intravenous administration, majority of cells initially goes to the liver and spleen, bone marrow and skin that greatly influence the treatment outcome specially disease pertaining to specific organs. Medical scientists globally are doing research for delivering the stem cells in site specific manner to have maximum number of cells at defect site. Many clinical studies have shown the effectiveness of direct injection or local delivery of cells in promoting bone regeneration. A recent published clinical study demonstrated the efficacy of adipose tissue derived stem cells in 18 patients (between the age of 18 and 75) that were intra articularly injected into osteoarthritis knee. 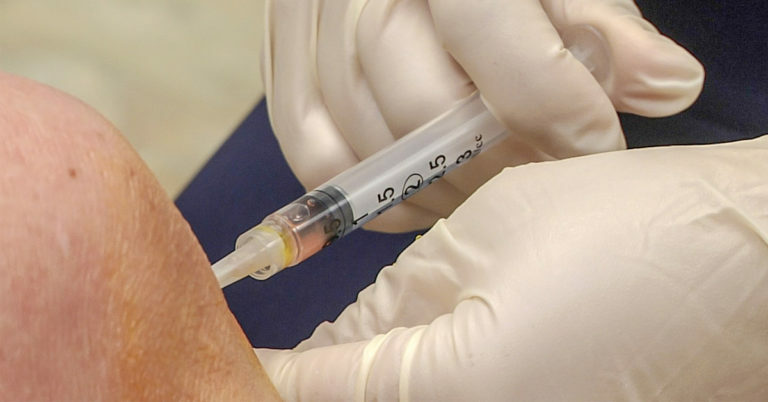 The stem cell injections (1.0 × 108) exhibited an improvement in pain, stiffness and function as measured by the WOMAC score with a mean reduction of 39% over a 6 month period. MRI examination showed regeneration of articular cartilage in the femoral and tibial condyles at 6 months. In another published case report, a 58 year old male athlete having meniscal tear was given ultra sound guided PRP and autologus stem cell injection at the site of osteochondral defect. Two month following the last injection, patient reported marked improvement in pain and discomfort allowing him to resume full activities. When MSCs are administered in site specific manner, they get adapted to that area and start regeneration process in more efficient way. For ex, if we put stem cells in brain, they become nerves, similarly if we put stem cells in joint area, they start repairing cartilaginous tissue. The reason behind increased potential of stem cells in local delivery is that MSCs need cell-to-cell contact and niche to impart their role in better manner. In conclusion, the use of local administration of stem cells is preferred as many researchers agree on a notion that after systemic infusion, stem cells are trapped in the lungs and rapidly disappear. Local administration of stem cells is the most efficient route for cell homing and efficient regeneration of damaged local tissue.